Were Osteopaths viewed as doctors in the 19th Century? In the last quarter of the 19th Century in the United States, Osteopathy posed a significant challenge to existing physicians. At the end of the 19th century, medicine in America was dominated by three separate competing medical sects - regular (M.D. 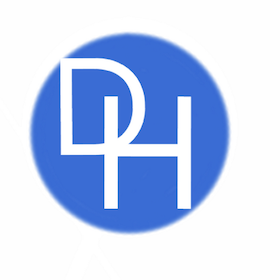 ), homeopaths and eclectic physicians. Each sect advanced competing theories explaining the causes of disease and illness. The emerging science surrounding germ theory threatened to upend the medical doctrine of all three sects. Osteopaths, on the other hand, dismissed scientific medicine entirely. Osteopaths manipulated the body to treat their patient's health. Because of Osteopaths unusual treatments, the newly created medical licensing boards around the United States struggled with whether their practice constituted the practice of medicine. In response to Osteopaths and other new medical sects, state licensing and examining boards tried to bring new drugless specialties such as Osteopathy, under their purview by expanding the definition of practicing medicine. Regardless of the treatment protocol, licensing boards insisted that these care providers were practicing medicine under existing medical practice acts. The medical boards were concerned enough by Osteopaths, they began prosecuting specialists who did not secure licenses under existing laws. Osteopaths, Christian Scientists, opticians, midwives, and other medical professionals all came within the crosshairs of licensing authorities after they expanded their interpretation of the “practice of medicine.” Osteopaths and Christian Scientists received extra attention because they were perceived by the three major sects as the greatest threats to their control over licensing. 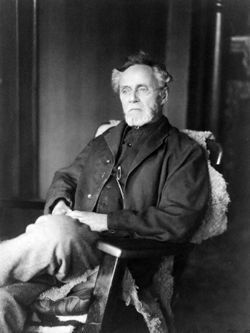 Andrew Taylor Still, a former Regular physician from Missouri, developed the treatments that morphed into Osteopathy during the 1870s and 1880s. In 1874, Still renounced Regular medicine and became a magnetic healer. Magnetic healers passed magnets over a patient’s body to restore the flow of the “invisible magnetic fluid” that circulated throughout the body. Magnetic healing was developed in Austria in late eighteenth century and migrated to the United States. Magnetic healers postulated that people became ill when this fluid pooled inside the body instead of flowing freely. While practicing magnetic healing, Still added bonesetting to his practice to attract more patients. Bonesetters alleviated pain by moving bones back into alignment. Bonesetting had been practiced since colonial times, and these specialists were dispersed widely throughout the country. After learning the bonesetter trade, Still became convinced that bonesetting could do more than just address simple aches and pain. He argued that it had the potential to cure chronic conditions such as asthma. During the 1870s and 1880s, Still traveled around Missouri and demonstrated his healing techniques. He avoided prosecution for his work because he was licensed as a Regular physician. Still’s demonstrations intrigued numerous people, and he convinced a number of people that his techniques had merit. By 1889, he was successful enough to establish a hospital in Kirksville, Missouri. At this time, he proclaimed to the public that he had discovered a new branch of medicine. Next, Still opened an Osteopathic school in Kirksville. After establishing the American School of Osteopathy, he began to draw the attention of the Missouri State Board of Health and the medical societies of three major sects in Missouri. The medical societies of the three sects were concerned about Osteopathy’s growing popularity and successfully lobbied the Missouri legislature in 1889 for a law requiring anyone who manipulated bodies to treat disease to pay a licensing fee of one hundred dollars per month. Even though the law was approved, state authorities neglected to enforce it. In 1893, the three sects then lobbied for another law that required Osteopaths to be graduates of medical schools in good standing. The only school of Osteopathy in the United States was Still’s and it would not have satisfied the Missouri board’s requirements for this rating. The Missouri legislature rejected this bill and instead passed a bill legalizing Osteopathy. While this first law was vetoed by the governor, another law in 1897 that legalized Osteopathy was passed and went into effect across Missouri after the governor, an Osteopathic patient, refused to veto it. Osteopathy spread rapidly from Missouri into neighboring Midwestern states over the next decade. Just as Regulars had demonized Homeopaths and Eclectics in the past, licensed physicians from the three medical sects worked together and relentlessly attacked these new medical specialists. Licensing united the three sects against these new interlopers. While the sects still viewed medicine somewhat differently, their differences were not nearly as great as those between them and these new medical apostates. Additionally, Regulars, Eclectics, and Homeopaths dominated medical licensing, and they did not want these specialties to flourish unchallenged. Licensed physicians directed their state organizations to prosecute Osteopaths and Christian Scientists. There were several early decisions that addressed whether Osteopaths needed to be licensed as physicians under existing licensing laws. Typically, Osteopaths defended themselves by claiming that they were not physicians and did not fit within the existing licensing laws. In Missouri, the state legislature passed an exemption in 1892, but Osteopathy presented a conundrum for most state courts. Courts struggled to develop a consensus on whether Osteopathy was a practice of medicine. Interestingly, courts ended up analogizing Osteopathy to Christian Science. Typically, if courts believed that Christian Science was a medical practice, then they would come to the same conclusion about Osteopathy. Not only were the court decisions at odds, but Osteopaths also were forced to make contradictory arguments about their medical specialty. They advertised that their medical system could cure numerous ailments. They also were competing with physicians from the three major medical sects for patients. While Osteopaths primarily treated patients for chronic conditions, they argued that Osteopathy could treat other types of diseases and deserved to be viewed as more than simply a system of body manipulation. From their patients’ perspectives, Osteopaths performed the same services as licensed physicians. Osteopaths achieved their results by different methods, but their clients would have viewed Osteopaths as doctors. When licensing and state boards of health prosecuted Osteopaths for practicing medicine, Osteopaths argued that they were not physicians despite their public pronouncements to the contrary. From a legal perspective, Osteopaths made a credible argument. They contended that they did not practice medicine because they did not prescribe drugs. It may have been a solid argument in court to compare to Osteopaths to nurses or massage therapists, but it also would also have undermined their credibility as legitimate healers. Osteopaths wanted to be seen as more than just nurses. Eugene Holt Eastman was one of the first Osteopaths prosecuted for practicing Osteopathy. Eastman was unique because he was tried in two separate states, Illinois and Ohio, for practicing Osteopathy in two consecutive years. He was a graduate of the newly formed American School of Osteopathy in Kirksville, Missouri.As a practicing Osteopath, Eastman’s treatment “consisted wholly of rubbing and manipulating the affected parts with his hands and fingers, and flexing and moving the limbs of the patient in various ways.” Eastman argued to the Illinois Board of Health that he was not a practicing physician because he did not prescribe medicine or use instruments to treat his patients. The Illinois board ignored his arguments and determined that he was a physician. The Illinois board ruled that Eastman was a physician because he stated that his treatments could cure a “long list of diseases” relying only on the “manipulation, flexing, rubbing, extension” of his client’s limbs. Both the Illinois board and the court of appeal simply defined medicine as “the art of understanding diseases and curing or relieving them when possible.” Under this definition, Eastman was found to be practicing medicine and his conviction was upheld. After the Illinois board’s decision, Eastman left Illinois and moved to Akron, Ohio, late in 1896. In Akron, he continued his Osteopathic practice, but within one month he was charged with practicing medicine without a license. Contrary to the Illinois Court of Appeals, the Court of Common Pleas in Ohio did not believe that Eastman was a practicing physician. The court refused to find that Osteopaths, clairvoyants, mind healers, faith-curers, massage therapists, and Christian Scientists were physicians under the Ohio licensing statute. If the legislature sought to ban or regulate these practices, the court argued it would need to do so explicitly, as Iowa had done. In Nelson v. State Board of Health, an Osteopath named Harry Nelson filed a petition of equity to enjoin the Kentucky State Board of Health from harassing him. Nelson was concerned that the board was going to prosecute him for violating the state’s practice and he sought to short-circuit their efforts. They refused to enjoin the board from enforcing the law against Nelson. After the lower Law and Equity Division entered a judgment in favor of the board, Nelson asked the Kentucky court of appeals to reverse the decision and force the board to recognize his college, the American College of Osteopathy in Kirksville, as legitimate under the state’s medical practice act. The Kentucky Court of Appeals determined that American College of Osteopathy was not a reputable medical college, but it still found in Nelson’s favor. The court found that Osteopathy did not constitute the practice of medicine and it was unnecessary to for the board to evaluate Nelson’s school. The court stated that because Osteopaths did not prescribe drugs or conduct surgery, they were not physicians. Therefore, Nelson’s medical specialty was not covered by the Kentucky medical practice act, and the state’s board of health had absolutely no right to interfere. The American College of Osteopathy was not a legitimate medical school because its graduates did not practice medicine. The court cited Liffring in support of its decision. The Supreme Court of Nebraska also wrestled with a similar question of whether Osteopathy was a recognizable part of the practice of medicine. Charles Little, an Osteopath, was convicted of practicing medicine without a license. Little argued at trial that he was not a physician under the Nebraska medical practice act. The Nebraska Supreme Court rejected Little’s argument and found that “those who practice osteopathy for compensation come within the purview of the statue as clearly as those who practice what is known as ‘Christian Science,’ and therefore this case f[ell] within the principle of State v. Buswell.” While the court acknowledged that other courts’ decisions around the country were “in conflict with it,” it was satisfied with its decision because Osteopaths and physicians had the same goals. They both sought to restore “the patient to sound bodily or mental condition.” The court was not interested in quibbling over whether the practice of medicine required physicians to prescribe drugs. Unlike the court in Little, the Alabama Supreme Court’s decision focused directly on the notion of whether the practice of medicine required use of medicines. In Bragg v. State, E. Eugene Bragg was convicted by the Jefferson County Criminal Court of practicing medicine without a license and violating the Alabama medical practice act. Bragg appealed to the state’s supreme court to overturn his conviction. Bragg’s defense was that he was not engaged in the practice of medicine because he did not use medicines. The court rejected his claim and stated “the word medicine has a technical meaning, is a technical art or science, and as a science the practitioners are not simply those who prescribe drugs or other medicinal substances as remedial agents, but it is broad enough to include and does include all person who diagnoses diseases and prescribes or apply any therapeutic agent for its cure.” The court cited Bibber v. Simpson in support of its decision. As discussed earlier in Bibber, the Maine Supreme Court determined that the actions of a medical clairvoyant constituted the practice of medicine. Bragg is another example of a court that took a broader interpretation of what constituted the practice of medicine. Since the courts were deadlocked over the issue of Osteopathy, Osteopaths quickly realized that the only way to ensure the survival of their medical specialty was to lobby for their own licensing laws. While a majority of courts exempted Osteopaths from licensing laws, Osteopaths wanted their practice to not only be legal throughout the country but legitimate. Like Regulars and Irregulars, Osteopaths quickly organized themselves in medical societies and created research journals. Aside from giving Osteopaths a sheen of respectability, the infrastructure gave Osteopaths a way to wage a concerted campaign to secure licensing. Between 1897 and 1901, fifteen states passed separate licensing laws for Osteopaths. Unsurprisingly, most of these states were in the Midwest, but New York, California, and Connecticut also passed laws favoring Osteopaths. These new laws were not ideal. In order to secure medical licensing, Osteopaths lobbied in favor of laws that were not always particularly beneficial to them. They struggled to get traction in state legislatures because Osteopaths were hampered by their small numbers, the relative youth of the specialty, disorganized campaigns, and lack of agreement among themselves about the type of laws that were most appropriate. In many states, efforts to secure legislation flamed out. In the states where Osteopaths secured licensing, they often were placed at the mercy of licensing boards that they did not have any representation on. One of these states was Illinois which passed a new licensing law in 1899 designed to license Osteopaths and other medical specialists. Under the new law, the practice of medicine was broadly defined to include physicians who practiced medicine and surgery in all their branches and anyone who wished to practice a specific system of medicine without the use of medicine or instruments. This law was designed to put the state board of health in charge of all medical practitioners including midwives, Osteopaths and potentially Christian Scientists. Physicians from the three major medical sects controlled the board and Osteopaths had little say over how the law was administered. Even under the 1887 medical practice act, practitioners who rubbed or manipulated their patients were classified as physicians. Suffice it to say, the state’s new law did not necessarily help Osteopaths. Under Illinois law, Osteopaths were required to meet the same standards as all other physicians. They were not given a lower standard to become a physician in the state. 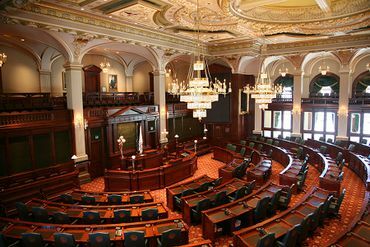 Laws like Illinois‘ would require Osteopathic schools of medicine to rethink their school’s curriculum to help their students pass licensing exams. Still, Osteopaths did benefit from a majority of courts’ unwillingness to interfere with their practice rights. Despite the split between the courts, a clear majority ruled that Osteopathy did not constitute the practice of medicine. In some ways, these decisions suggested that the ambivalence expressed earlier by courts about medical licensing in general. They did not hesitate to hobble these laws because of sloppy drafting or overreaching provisions. By finding Osteopathy to be outside the practice of medicine, a majority of courts sent a clear message to state legislatures that they would not allow an expansion of who was a physician without explicit legislation classifying Osteopath as doctors. While these decisions typically favored Osteopaths, the outcome was still problematic. These court decisions essentially stated that Osteopaths were not equal to physicians as healers. If Osteopaths wanted to be considered by the public to be legitimate, they needed to gain state validation. Osteopaths already had been somewhat successful in establishing licensing laws in several states between 1892 and 1904, but they wanted to create separate licensing boards controlled by Osteopaths and expand the legislative recognition of their sect. With separate boards, Osteopaths could develop their own criteria for licensure and increase the status of legitimate practicing Osteopaths. In California alone, the newly established Osteopathic board between 1901 and 1907 issued more than nine hundred certificates to practice Osteopathy. Even as Regulars, Homeopaths, and Eclectics were moving toward unified boards, Osteopaths realized that separate boards could preserve their unique sect. The American Osteopathic Association developed a model law that was similar to licensing laws used to create Regular, Eclectic, and Homeopathic boards. Osteopathic physicians throughout the country pushed for licensing based on this model. While they did not always succeed, as historian Norman Gevitz pointed out, this effort was fairly effective. Despite pushback from the three major medical sects, Osteopaths secured practice rights in thirty-nine states and created seventeen independent boards around the country by 1913. By 1923, Osteopaths secured licensing in forty-six states and about half of those states created separate osteopathic boards. Osteopaths established a secure foothold in America and have never relinquished it. Contrarily, after the major sects established unified boards and the AMA admitted Irregulars to its ranks, Eclecticism and Homeopathy began their slow decline. Osteopaths successfully transformed themselves from a small Midwestern medical sect into physicians in the eyes of both the public and the law. Today, Osteopaths and MDs are virtually indistinguishable. During the 20th Century, Osteopaths slowly moved away from Andrew Still's drugless treatments. Medical licensing allowed osteopaths to transform the sectarian medical doctrine that had defined them and still be distinct from MDs. Instead of being subsumed by the regulars, Osteopaths were allowed to transform their medical practices. Currently, there are over 34 American Osteopathic medical schools and over 130,000 osteopaths practicing medicine across the United States. ↑ Allan McLane Hamilton, Md., Lawrence Godkin, Esq, eds. William A. Purrington, Esq., “Of Certain Legal Relations of Physicians and Surgeons to Their Patients and to One Another,” A System of Legal Medicine, Vol. 1, (New York, E.B. Treat 1895), 595-598. ↑ Gevitz, Norman, The DOs: Osteopathic Medicine in America, 2nd edition, (John Hopkins University Press, Baltimore, 1982, 2004), 13-15. ↑ Martin Kaufman, Homeopathy in America: The Rise and Fall of Medical Heresy (The Johns Hopkins University Press, Baltimore, 1971), 141-142. ↑ In Nebraska, both Osteopathy and Christian Science were found to be medical practices. See Little v. Nebraska, 60 Neb. 749 (1900) and Nebraska v. Buswell 58 N.W. 728 (1894). ↑ Eastman v. Ohio, 6 Ohio Dec. 296, 297 (1897). ↑ Eastman v. People, 71 Ill. App. 236, 238 (1896). ↑ Eastman v. Ohio, 299-301. ↑ State v. Liffring, 61 Ohio St. 39; 55 N.E. 168 (1899), 39-51. ↑ Nelson v. State Board of Health, 108 Ky. 769, (1900), 770-774. ↑ Little v. Nebraska, 60 Neb. 749 (1900), 751-752. ↑ Eastman v. People, 71 Ill.App. 236 (1896). ↑ Dudley Tait, M.D., “Report of the Committee on Medical Education,” California State Journal of Medicine, Vol. VI, No. 5 (1908): 161, http://books.google.com/ebooks.